I brought Frozen Probugs, all varieties of ProBugs, Greek Style Kefir and their frozen Kefir home from the store to try. You can find their whole line of products HERE. Kefir is a cultured, enzyme rich food filled with friendly micro-organisms that help balance your “inner ecosystem.” More nutritious and therapeutic than yogurt, it supplies complete protein, essential minerals, and valuable B vitamins. It also is 99% Lactose free and easily digestable. (source kefir.net) Lifeway Kefir also is only made with milk from grass fed cows that’s free of rBGH (Bovine Growth Hormones) and antibiotics! I was surprised how refreshing and creamy the frozen Kefir tasted and I loved that it is both gluten and 99% lactose free. It is also all natural - so no artificial color or flavors - which is always important to me since one of my kids has an intolerance to all artificial color and flavors. We really enjoyed the frozen Kefir and I highly recommend trying it. It is slightly tart and very refreshing tasting and would be a great snack with fresh fruit! Oh, and did I mention it has only 90 calories/serving and 4g of Protein :) ? I am glad I also decided to pick up the Greek Style Kefir since one of my sons is not a Kefir fan. However, the Greek Style Kefir is thicker and sweeter and tastes more like drinkable yogurt which appeal to him much more (after trying this kind of Kefir he started trying more varieties and loves the Probugs Kefir now, too!) This is a great way to start introducing Kefir to your family if they already love drinkable yogurt! Yum, the ProBugs Frozen Kefir was my kids' favorite hands down. It has become a staple in our house for after school snack since they are only 3 oz (perfect snack size), 70 calories and that with a wonderful 4g of protein. Even on rainy and dreary fall days this is the go to snack at our house. Plus, there is a flavor for everyone: Orange Creamy Crawler for those of us who love the orange and cream flavor, Strawnana Split for the classic banana/strawberry fans and GooBerryPie for the BerryLovers in our family. A Must Try! ProBugs Kefir is also a close second favorite and we pack it nearly daily for snack at school. With 100 calories (the same calories as a 100 calorie snack bag or a cereal bar) it provides 7g of Protein and is a great source of calcium - the ideal mess-free snack at school, the car or really anyway you are on-the-go due to it's easy-to-grip shape and patented no-spill spout! We love all the flavors: Strawnana Split, Goo Berry Pie, Orange Creamy Crawlers and Sublime Slime Lime and my kids love the little monsters on the package which makes them even cool enough for my 10 year old to take to school and gives me the peace of mind that they had a healthy snack at school! intestines, which improves the body's immune response." Ready to try some Kefir for yourself? Lifeway Kefir has offered to send you the same coupon pack they sent me so you have a chance to try their complete line of products! Just enter my Rafflecopter Giveaway for your chance to win! Open to U.S. Residents only. 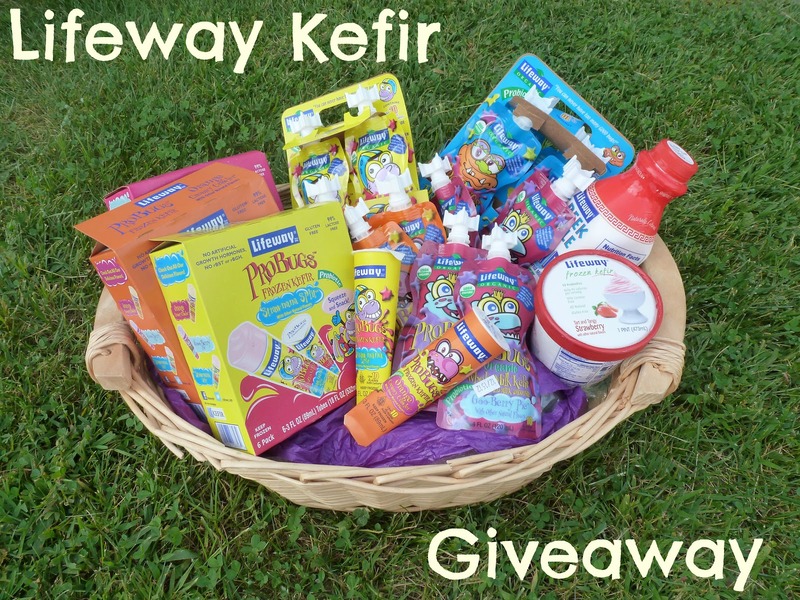 Please do not enter if you have received free products from Lifeway Kefir in the last 3 month. The winner has 48h to respond before I will re-draw a winner. Lifeway Kefir provided me with coupons for free products. All opinions are my own. Would love to try the Probugs line with my kiddos! Great creative packaging too! We'd really like to try the ProBugs :) Great giveaway! 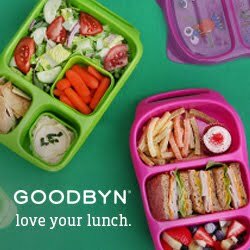 I am trying hard to feed my kids better lunches and would love to try this! I'd love to try ProBugs. My daughter already drinks their Lowfat Kefir every day. Ooooh John would probably love the ProBugs but *I* want to try the frozen pumpkin!!! This would be great after school snacks! Love Kefir! These would make a great after school snack! My kids love the Probugs! Lifeway Frozen Kefir looks tasty! I love the ProBugs as it is portable and would be great as a to-go snack for my daughter. I'd love to try the Frozen Kefir. That looks so awesome!!! My boys would love it!!!! My boys would love this yummy goodness!!! Definitely Probugs and Frozen Kefir. Love that giveaway! We are fans of Lifeway products, Probugs and Frozen Kefir for kids and Greek Style for me. Frozen ProBugs! My all-natural Princess LOVES eating her food frozen. Smoothies, nuggets, hot dogs, fries... all frozen! I'll love to try the ProBugs! :) Thanks for hosting this great giveaway! I think the ProBugs would be a great morning snack for my daughter at school. I would like to try the mango Frozen Kefir. Tart Frozen Kefir is my top pick! I love the frozen tart flavor! I'd probably choose the greek style fro-yo if I had to choose just one. I dont think I've ever heard of this stuff but would love to try it! I'd like to try anything! We are pretty open to all foods at lunchy's house! we love kefir! I'd love to try it frozen! I would love to try the pouches! I love Kefir, so good! I'd love to try the Tart and Tangy Pomegranate frozen kefir. Mmm. I'd love to try the Lowfat with probiotics strawberry kefir... sounds so yummy. My two kids who can have dairy would love to try the pouches! Great for taking to school or on the go! I would loveeee to try the tart and tangy pumpkin frozen kefir! !